When creating a marketing strategy, there is often some confusion over choosing which path to take when trying to increase online visibility. 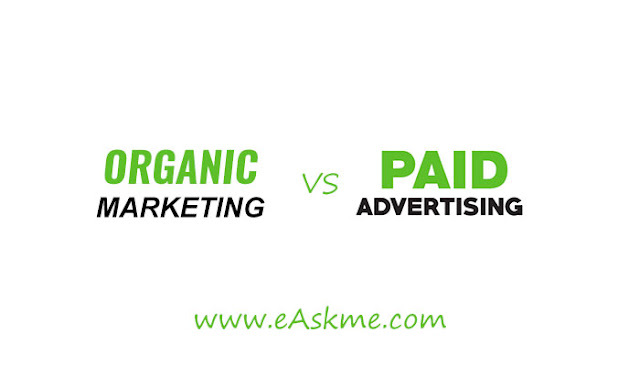 There are generally two traffic generating choices: organic search marketing or paid search marketing. This article is supposed to shed some light on the differences between these two approaches and help you make the right decision when choosing your next online marketing move. Organic search marketing or SEO uses keywords, link building, and quality content to increase the online visibility of your website in the search engine result pages and improve ranking. The keywords you set in the campaigns play an important role, but they are used in a slightly different way than in SEO giving you more control over when and where your web page will be displayed. Organic marketing seems like a long process that may or may not give us the desired results, while paid advertising gives instant gratification, bringing customers in right away (at a higher cost). On the other hand, organic marketing keeps producing results, pulling in traffic and conversions long after you optimized your website, while paid advertising only does this while you are paying for your campaigns. Let me elaborate, paid advertising uses something called the “push” technique. Your strategy uses Google or Facebook ads to display ads to a wide target group hoping someone will click on them and eventually buy your product. Think of it as fishing - you cast a wide net and hope you snag a fish or two. Paid advertising has a downside though. It can suffer from a phenomenon called commercial blindness. Internet users are buried with tons of ads and they have learned to ignore them. Not only that but browser extensions that block ads are getting more and more popular. Almost a quarter of internet users are blocking ads, making it impossible for you to reach them via paid advertisement. In the past 4 years, the use of AdBlock has nearly doubled (source - https://www.statista.com/statistics/804008/ad-blocking-reach-usage-us/). This is no doubt a consumer signal from internet users that feel bombarded by an ever-increasing number of online ads in the SERPs, websites and online services. There has been an 87% growth in advertising on mobile alone in the last 5 years (source - https://influencermarketinghub.com/internet-advertising-statistics/ ). Which is why our consumers are taking matters into their own hands and taking control back over their own experience. It is necessary to mention that the majority of AdBlock users uses a default setting. This means that they are not blocking the sponsored, PPC ads that appear in the SERPs. This does not mean that there is no cause for concern though. Commercial blindness is now taking a step further. By using eye-tracking technology we notice a trend among the users where they simply skip over the PPC results right under the search bar and continue straight on to the organic results. This certainly explains why these sponsored ads have a significantly reduced CTR when compared to the CTR of the first three entries in the organic search results. Now let’s look at the alternative. By using organic marketing you “pull” your customers in. Your strategy uses search engines like Google creating customers that are drawn to your product by the way you present it. Organic marketing makes sure your product is displayed in front of your potential customer when they’ve asked for it. This makes them more receptive and more likely to feel positive about your brand. This also means that in terms of the customer journey, you are catching them in the most appropriate time and jumping over a few steps. AIDA is a marketing model used to describe the journey of a customer from the point of finding out about a product to actually buying it. With paid ads, you target a wide group and hope to gain Attention of some of them. These people have not necessarily planned to look into your product niche, but the ad pulled them in. Organic marketing skips this step. It makes sure that your potential customer gets presented with your product in the Interest or even the Desire stage. They are already interested in a product and are actively researching where to get it. This person is much more likely to buy your product than the person that just skimmed over your paid ad. Here is where SEO analytics comes into play. There are countless SEO tools that help you identify keywords from different stages of the buying process. When properly used in the content of your landing page, these long tail keywords will pull your customers in and increase conversion. A study across industries shows that this type of pull marketing has 68% higher conversion rates than the paid advertising. No wonder businesses are ready to invest more and more into organic marketing. I would like to finish with one final explanation. There is no talk here of either-or. 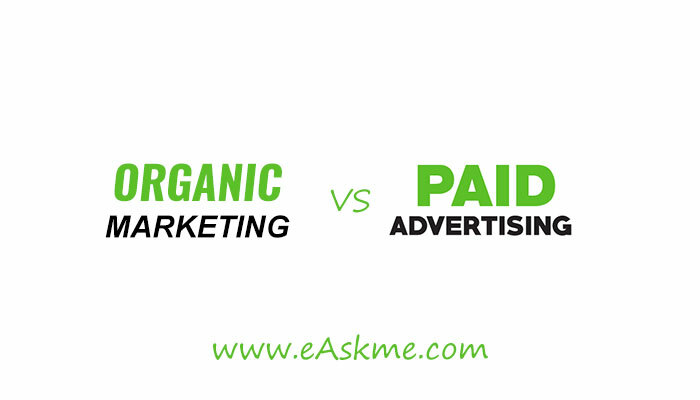 Organic marketing and paid advertisement go hand in hand and supplement each other nicely, so don’t go dropping your paid ads altogether. Their reach is still high and plenty of companies are increasing their investment in this marketing area. However, we should not ignore nearly a third of our audience and look for alternate strategies of getting their attention and loyalty. But, where you put the bulk of your effort depends purely on the industry you are working in, so make sure your decision is data-informed to ensure success.